SPAMfighter is a global provider of state-of-the-art computer, mobile and server utility and security products to millions of users from 235 countries. Is your inbox invaded with unwanted spam? Download our award winning free spam filter, or secure yourself from threats with our effective anti-virus software. Also, try SPYWAREfighter to remove spyware and malware quickly. We offer FREE 30-day full version trials. Free Anti-Spam tool for Outlook, Outlook Express, Windows Mail, blocking spam and phishing fraud. 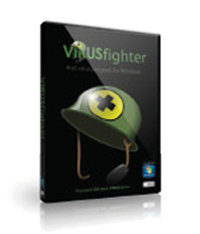 Guaranteed protection of your PC against viruses and other threats. SPYWAREfighter is your guarantee for protecting your PC against spyware and other threats. Are you frustrated with a slow pc or a hard disk not performing as it should? Try SLOW-PCfighter to speed up boot time on a slow PC, or try a free scan of FULL-DISKfighter to recover space on a full disk. The latest offering is DRIVERfighter to update your driver updater. Get complete PC optimization and extend the life of your PC with these must-have software tools. The most advanced technologies available to analyze errors and making a slow PC faster. Get a Free hard disk scan and see how FULL-DISKfighter fast and efficiently recovers space on your full hard drive. Locate and update all outdated PC drivers with ease and speed up the performance. 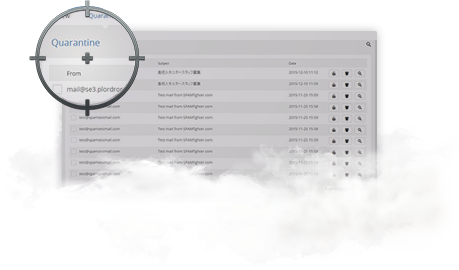 SPAMfighter Exchange Module, Mail Gateway, Hosted (Cloud) Mail Gateway and VIRUSfighter is the most efficient and easy-to-use spam filters for protecting the company client against spam, virus and pishing fraud. We provide FREE 30-day full functional trials on all our Business solutions. 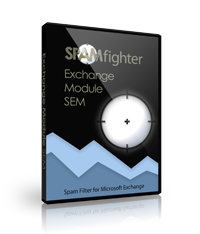 An easy-to-use yet highly configurable Exchange spam filter solution for protecting your business from spam, viruses, phishing attempts, and malware. Exchange Server 2019, 2016, 2013, 2010, 2007, 2003 & 2000. Powered by 8,958,776 SPAMfighters from 238 countries/areas. This means instant spam protection with no configuration or maintenance needed. An ultra-lightweight, very fast, simple to use and low-cost antivirus solution for Windows servers. Uses low system resources, without slowing down your server. SPAMfighter Hosted Mail Gateway is the simple and low-cost solution for companies, organizations, and individuals with their own the domain name and want to get rid of spam and virus without buying and maintaining their server software.